Y’all I can’t believe it but we are winding down #48walks. I still have LOADS of walks to share before Christmas so I’m going to crank them out this week because I am all ready to move on to the next project. 2015 will SO involve walking and I can’t wait to tell you all about that. BUT FIRST! I need to finish up #48walks. Enjoy a couple weeks of this space being packed with walks. 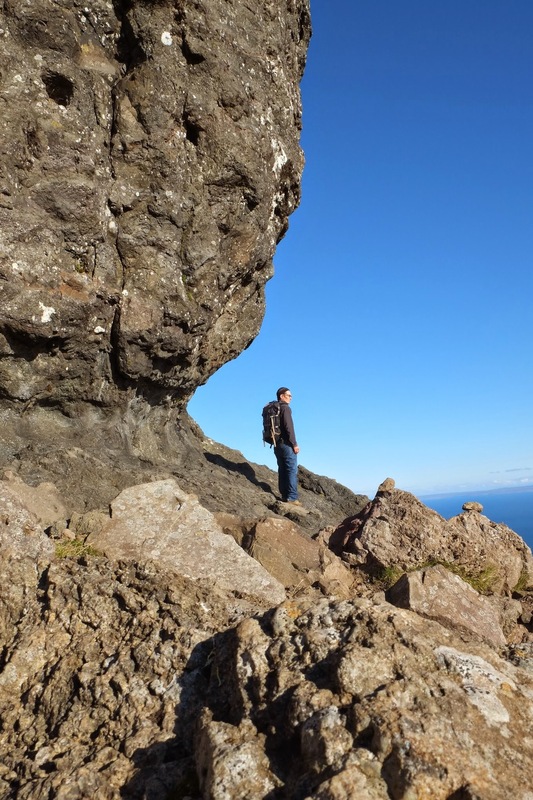 I hope it will inspire you to get outside! 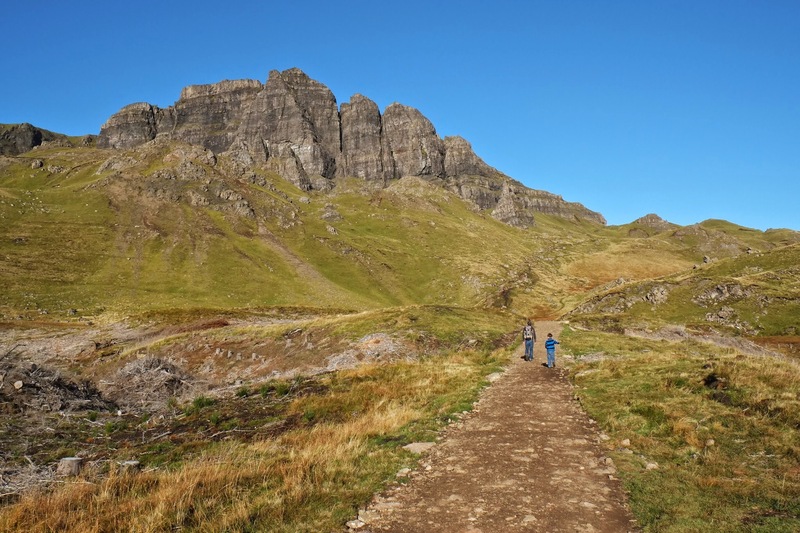 The first three will be the GLORIOUS walks we took while camping on the dreamy + magical + all other fairylike cliches Isle of Skye. We’ve been hearing about Skye since before we ever moved to Scotland. 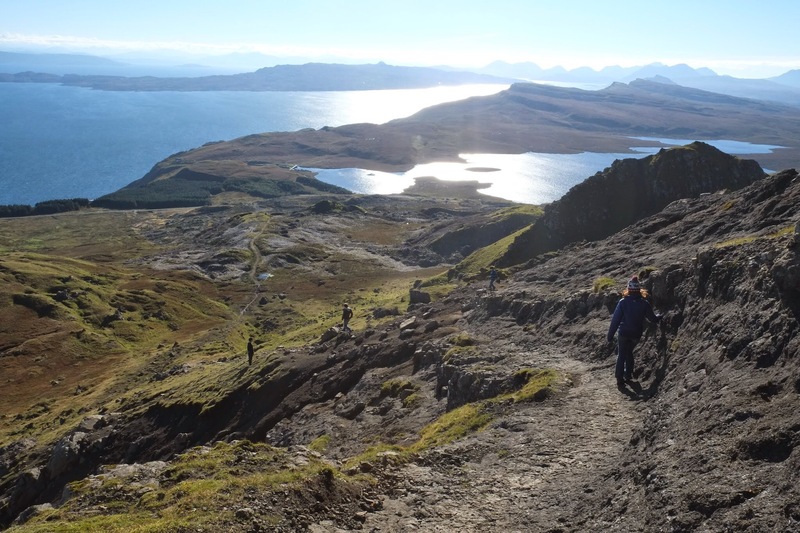 Oh you must get to Skye. The Western Isles are like a different world from Aberdeenshire. And you know what, what people say is true. We arrived in the almost dark and set up our tents in a field across from a small pub + inn. It was suuuuper cold, but the next morning when we woke up, it was all blue sky and beautiful. 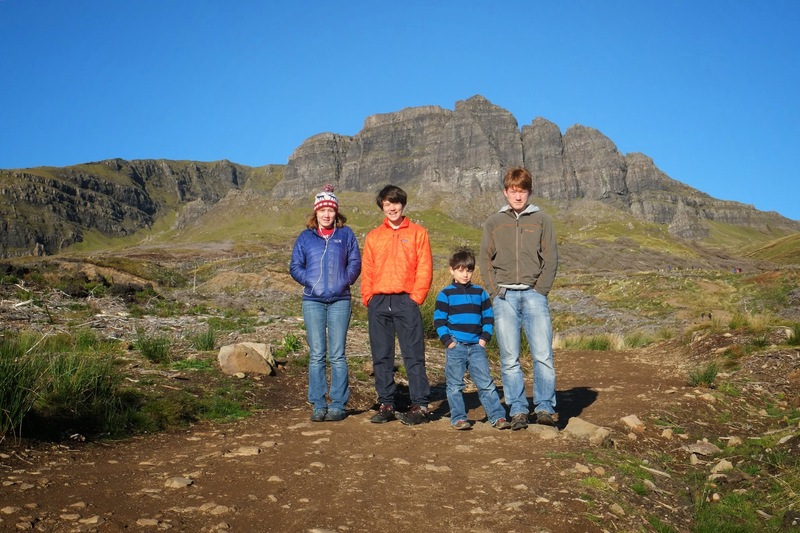 We grabbed coffee and pastries before heading to The Storr, a place we have LONG wanted to see. 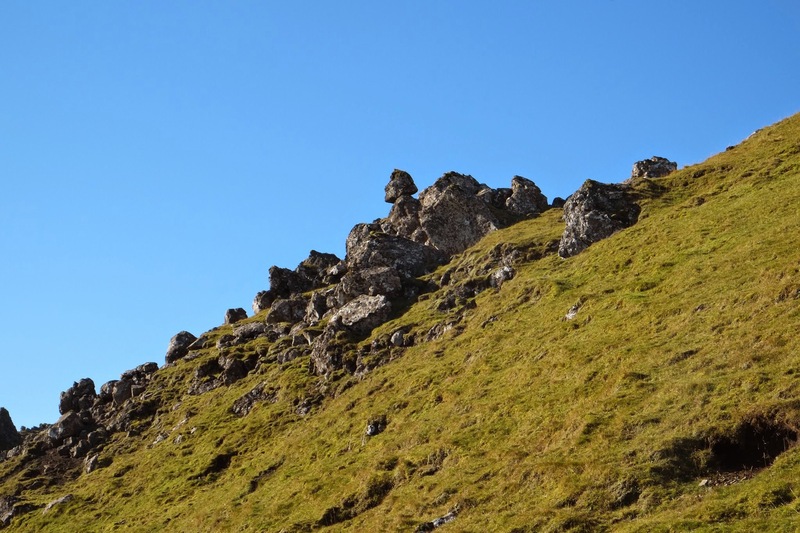 When you first start walking up to The Storr (and The Old Man of Storr), the rocks just look like they are all part of one ridge. 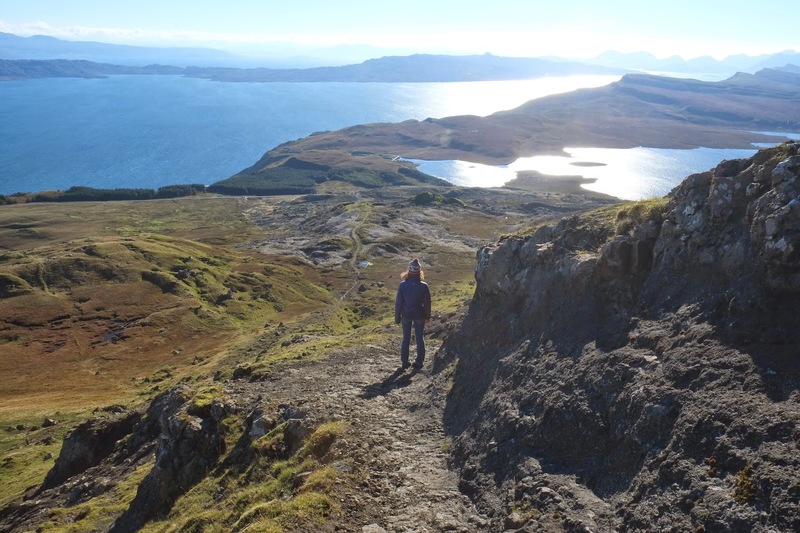 The views back over the water and south down the Isle of Skye are, of course, pretty fantabulous. 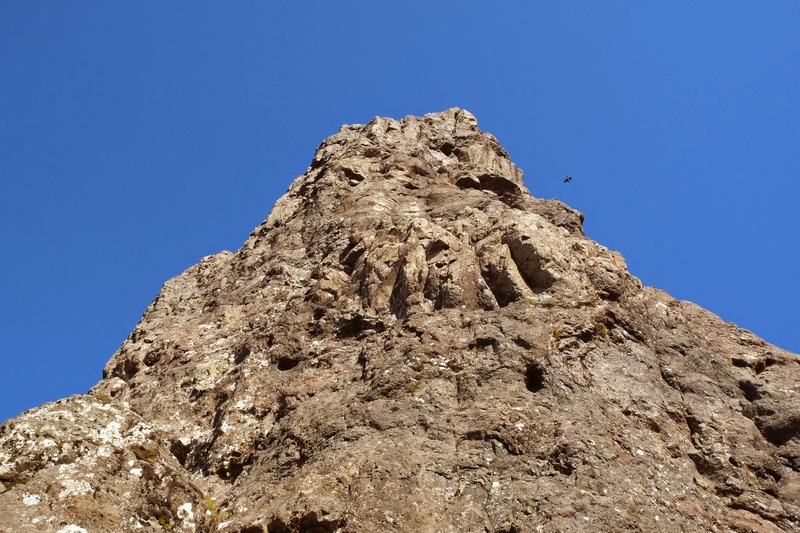 As you get closer to the ridge, the rocks start to separate and distinguish themselves. Some of them even look like people. But one really stands out. 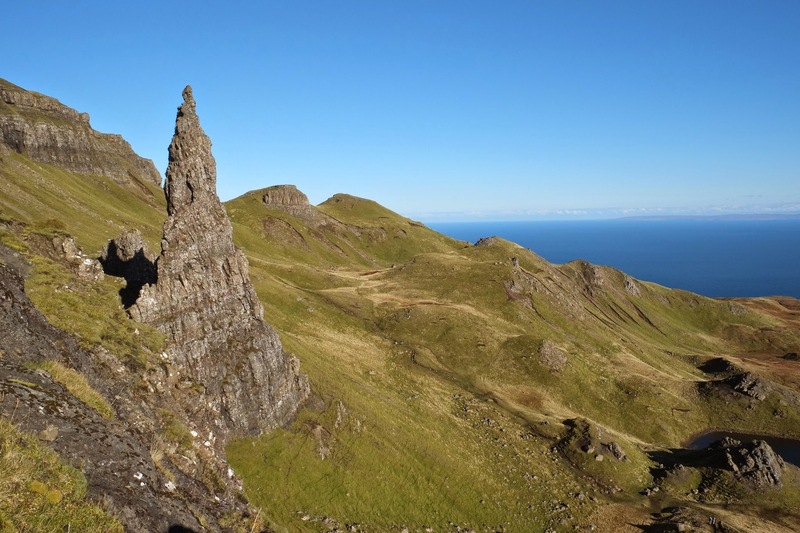 The Storr. It’s hard to tell just how big it is from photos, but here’s one of Taido at the base of it and then one looking up the side. 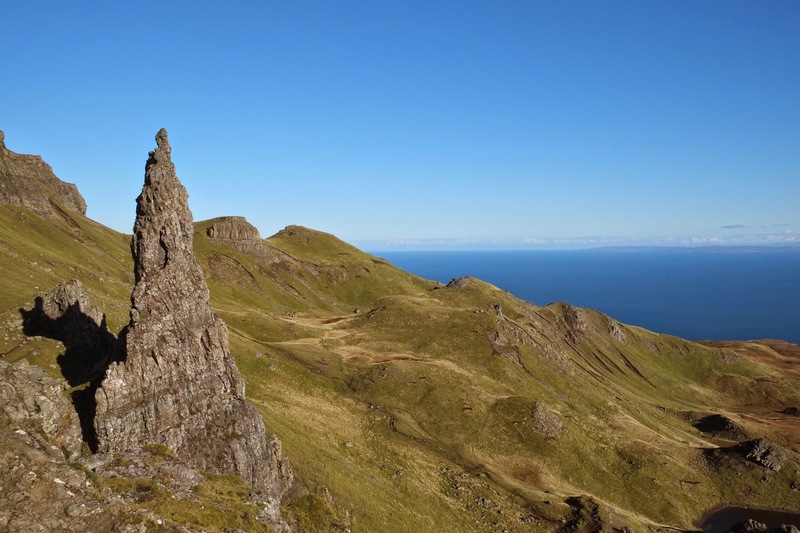 Just beyond The Storr, is this other iconic bit, The Old Man of Storr. Only with blue sky instead of the foggy photos I usually see of these rocks. It was a cold, crisp October day, but we were delighted with the sunshine. 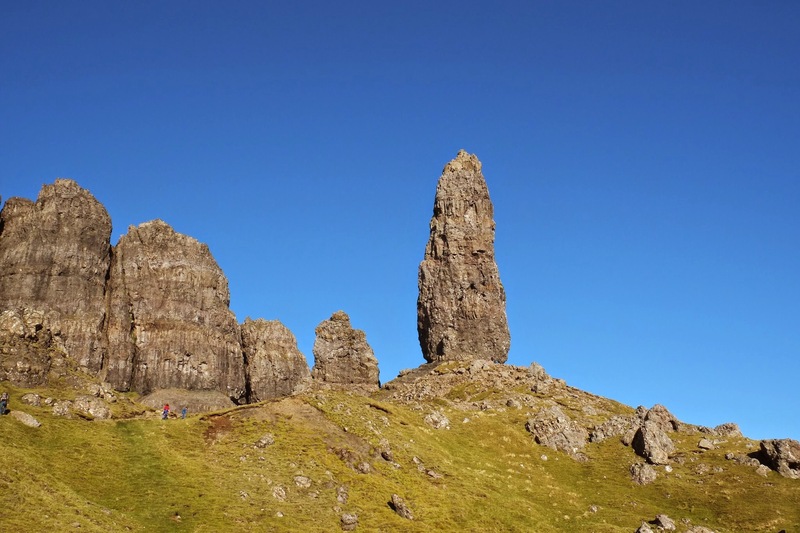 We stayed at The Storr for about half an hour before heading back down to have a picnic lunch and then we were off that afternoon to the Quiraing, another walk on the Isle of Skye that I will show you tomorrow. Until then, you can check out all the other walks from this year so far! 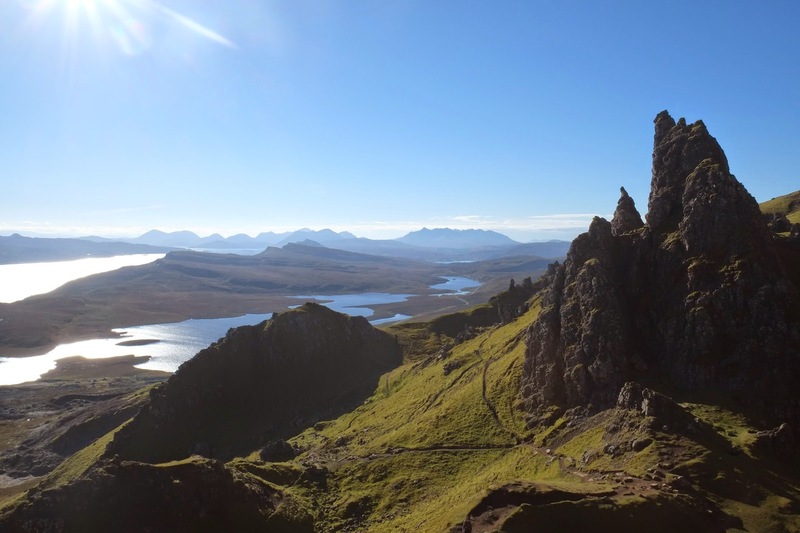 I’ve heard great things about Isle of Skye too and would love to go one day!! We really should have made a point last summer, but we had already packed our time out!! Looks just beautiful!! Looks like something from a movie!